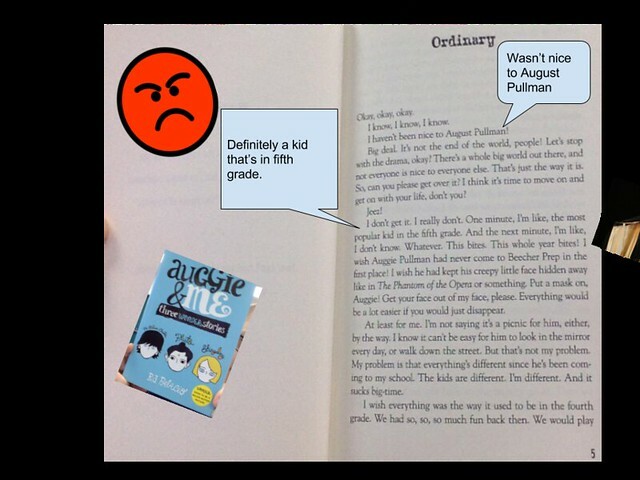 I wrote the other day about my plan to try out BookSnaps with my sixth graders. 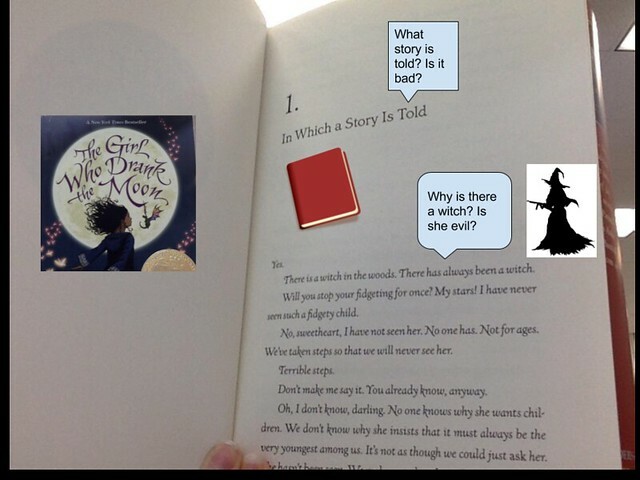 BookSnaps are images of reading books, with “stickers” and short text annotations. While the original idea is to use Snapchat, we used Google Draw, and it worked out just fine. 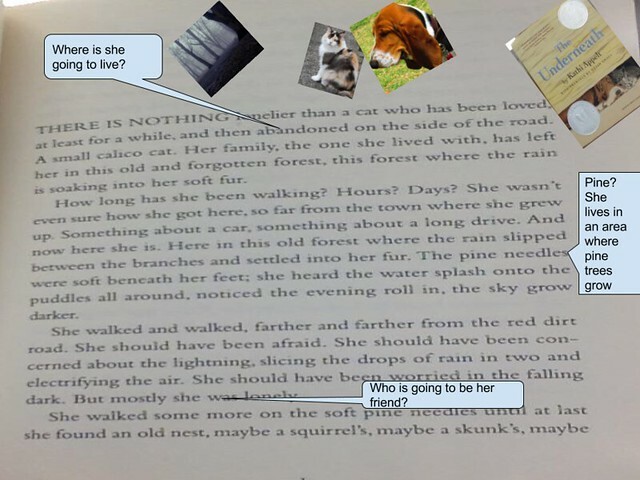 My aim was to talk about annotations, with text and images. I also wanted to show them Google Draw, another app within their Google accounts that can be tapped for various projects. I walked them the process. We ended up using PhotoBooth to take the pictures (while I was going to use an extension created by Alice Keeler, I realized that our students don’t actually log into the Chrome Browser but instead, log into Google itself.) 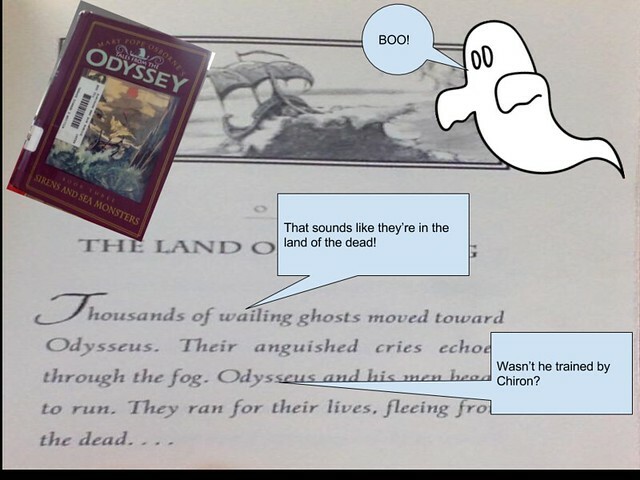 It turns out our librarian had already shown them how to use PhotoBooth, so that was … a snap. One friend suggested creating a Google Draw template with call-outs and stickers in the margins of the drawing field, which is a good idea, but I went with a blank Draw slate, and let them build from there. 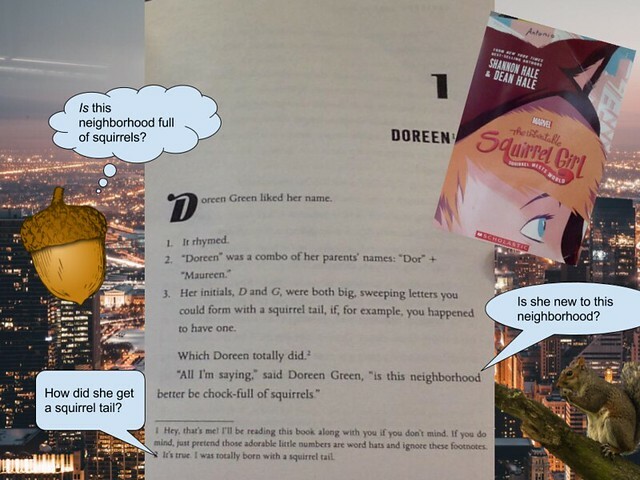 It took longer but I think it gave each BookSnap its own flavor. And the ‘stickers’ were merely Google Images, related to the text on the page. I did some mini-lessons around cropping (which some used and some apparently didn’t), and the fading tool, so that they could better manipulate the image within the design of the page. 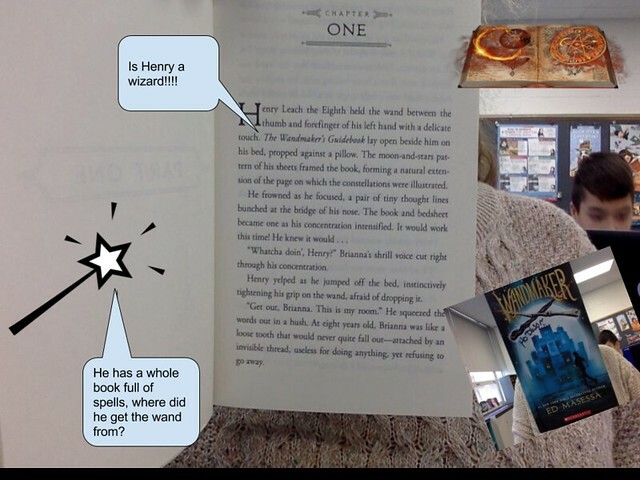 Overall, the BookSnap project was a success, and kids were very engaged in the activity. 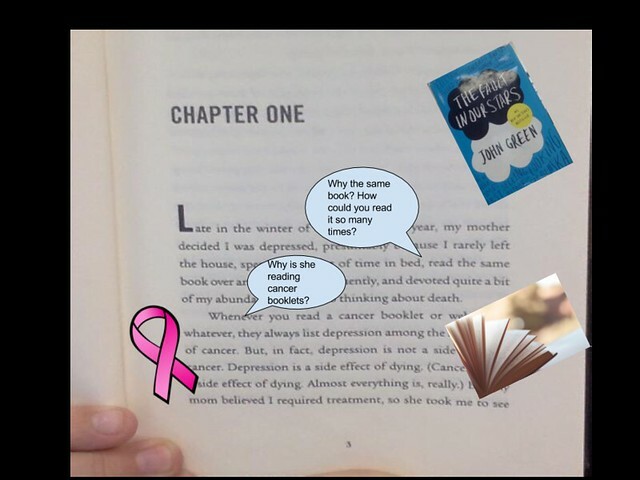 I have now shared all of the folders of BookSnaps with all students across four classrooms, so they can peek in and see what their friends and fellow readers are reading, and maybe get inspired to pick up a new book. 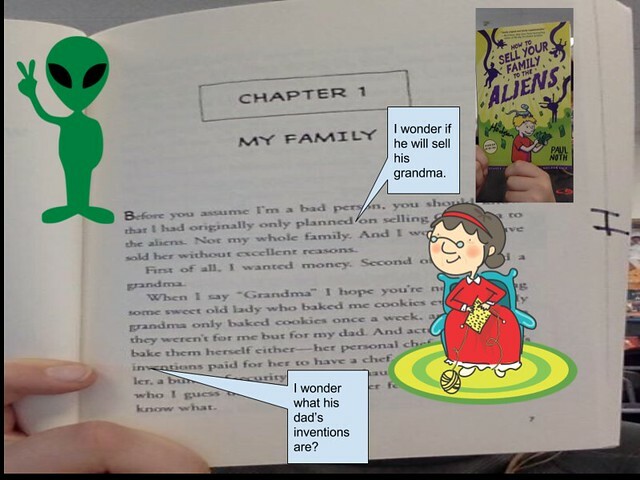 This entry was posted in books, my classroom, Technology Resources. Bookmark the permalink.